You’ve been pouring money into your brand’s new digital marketing strategy for three months, six months, maybe even nine months…but where are the results? Are you seeing any tangible rewards? 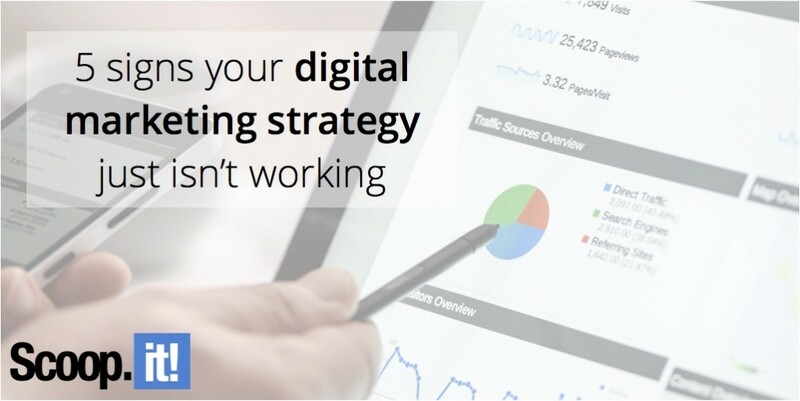 Just because you have a digital marketing strategy in place, doesn’t mean it’s working. This is a lesson many have to learn the hard way. Think back to when you started your digital marketing efforts. Now, fast forward to today. Between then and now, how many new clients have you picked up organically? In other words, how many clients have come to you as a result of finding you online? If you can’t point to any clients – or can only recall one or two – then this is a problem. Your digital marketing should be improving your SEO and search rankings, growing your brand awareness, and building relationships with individual prospects. If you aren’t attracting clients, then you obviously aren’t doing these things very well. At the heart of every successful digital marketing strategy is a brand story. That’s all digital marketing is. You’re telling your brand’s story in a way that connects with people and drives them to your products and services. If you can’t articulate your brand’s story, then chances are pretty high that your digital marketing efforts aren’t clearly explaining it either. When there’s no understanding of what your brand story is, the result is disparate messaging. You’re saying one thing on your blog, another in your PPC advertisements, and something entirely different on social media. This inconsistency drives a wedge between you and your target market. Organic interaction is the true mark of successful digital marketing. What does it look like? Organic interaction includes comments on your blogs, social media likes and shares, emails from customers and interested readers, unsolicited backlinks to your content, and other similar things. If you aren’t getting any of these results, then your strategy is entirely ineffective. Perhaps you’re getting feedback from your digital marketing efforts, but is it the wrong feedback? You may think you’re giving your audience what they want, but if you’re getting poor quality leads – prospects that can’t convert – then there’s a problem. If you’re reaching the wrong audience, then not only are you wasting their time, but you’re wasting yours. You’ll have people contacting you, thinking that you do one thing, and you’ll have to spend precious time informing them that you do something entirely different. Does the sales department fail to see the value in what you do? While this can feel personally insulting, you need to consider why they feel this way. The sales department should see the most tangible and direct return on your investment. If they can’t see any value in what you’re doing, then you’re probably failing to deliver. Every little bit of your marketing strategy depends on reaching the right people. That’s why you have to start by clearly identifying your target audience. At the heart of every digital marketing strategy is quality content. This refers to written content, visual content, ad content, website content – every type of content that you produce. If you’re sure that you’ve identified the appropriate audience, then quality content and strategic dissemination are the only things standing in the way. You’ll never be successful with digital marketing if you don’t get some support from the other departments and individuals in the organization. You especially need support from sales and advertising. If these two departments don’t understand the value in what you’re doing and don’t lend a helping hand, you’ll face an uphill battle for years to come. Finally, it’s important that you’re willing to pivot at a moment’s notice. You may get your act together and develop a strategy that works for the next six months, but what happens when you start to see diminishing returns? You must be willing to identify the cause and move in a new direction – even when it’s easier and more comfortable to remain idle. In this field, new techniques and best practices seem to emerge on a daily basis. Therefore, it’s up to you to stay current. Your digital marketing isn’t meant to hold you back. It’s designed to propel you forward and connect your brand with the right customers. If you feel like your current strategy isn’t working, then something is wrong and you need to get to the heart of the issue as quickly as possible. The sooner you get things straightened out, the sooner you’ll enjoy the positive fruits of your labor.